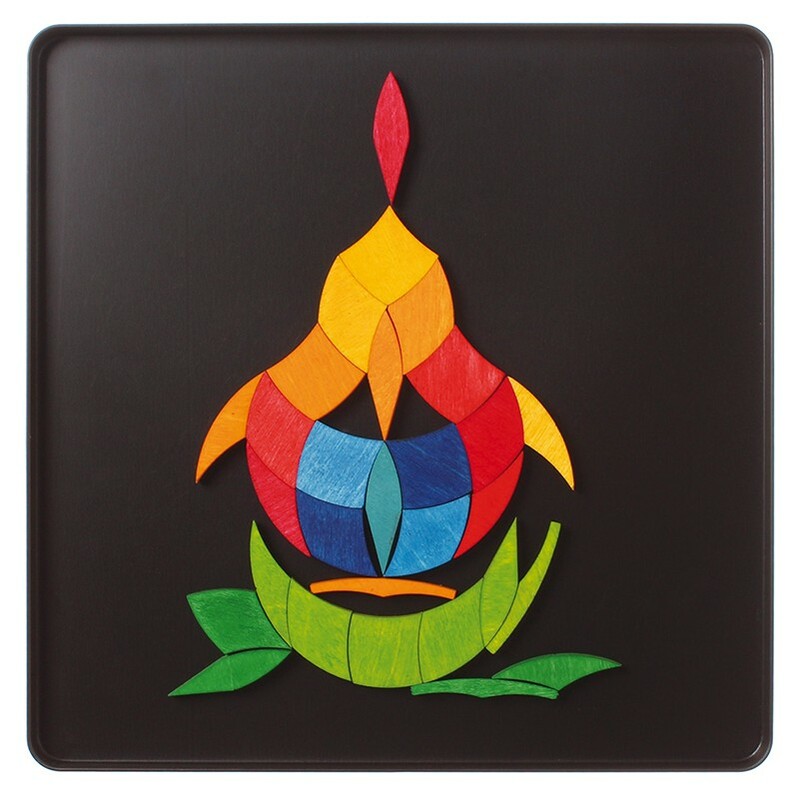 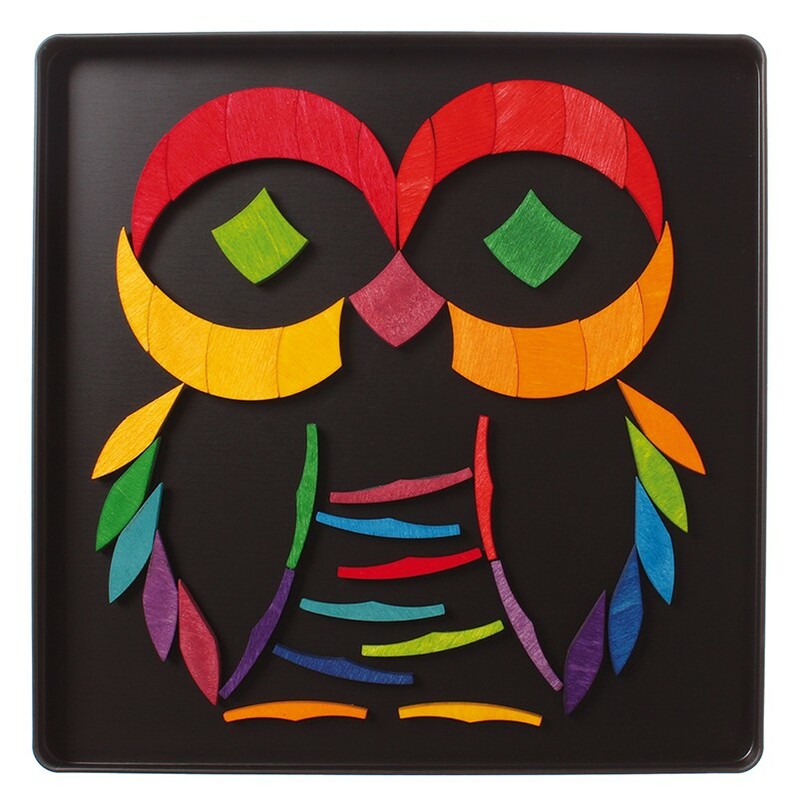 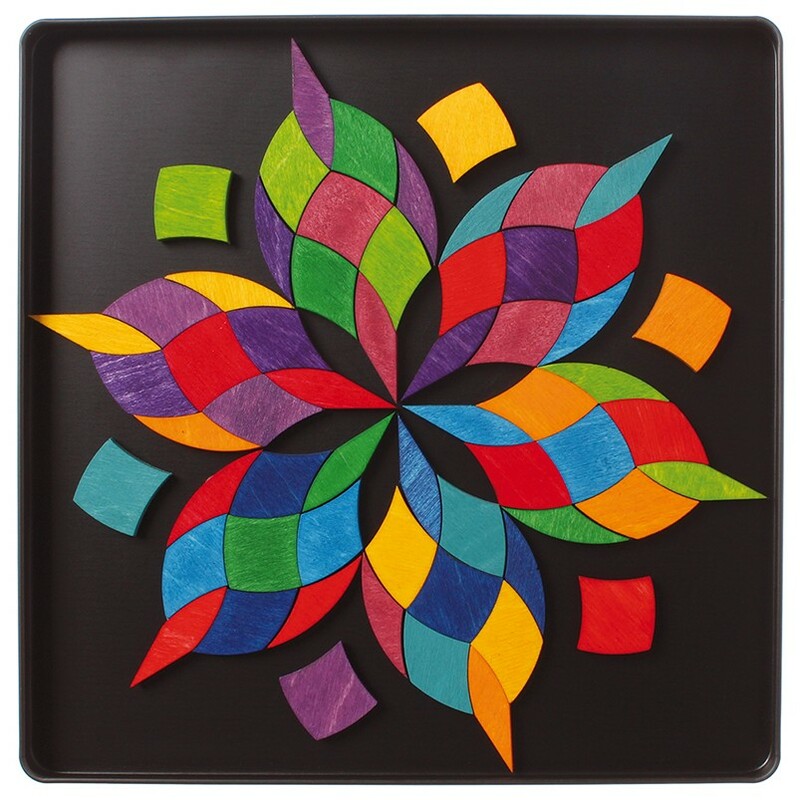 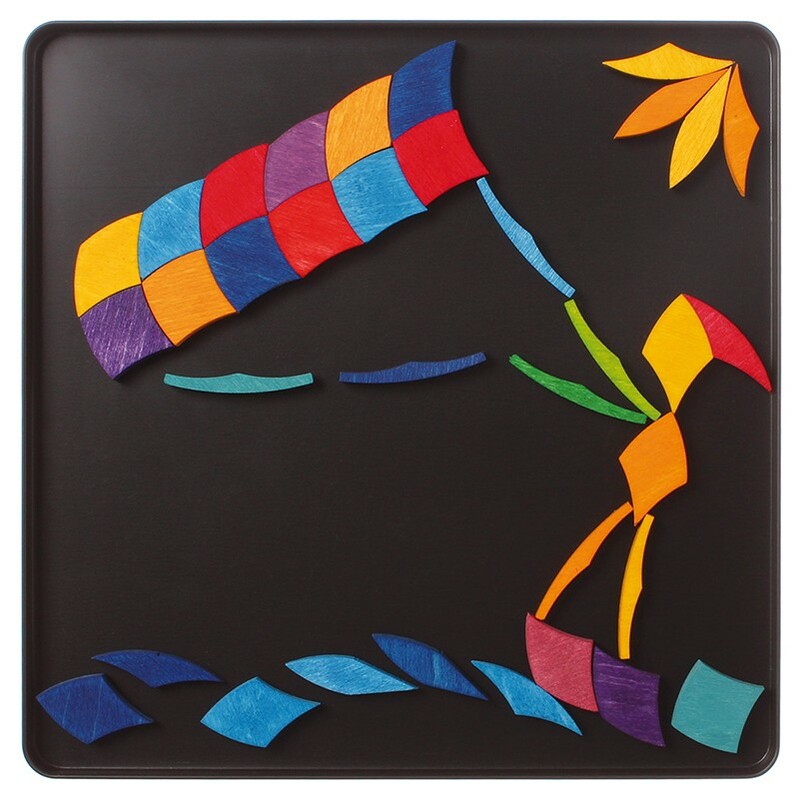 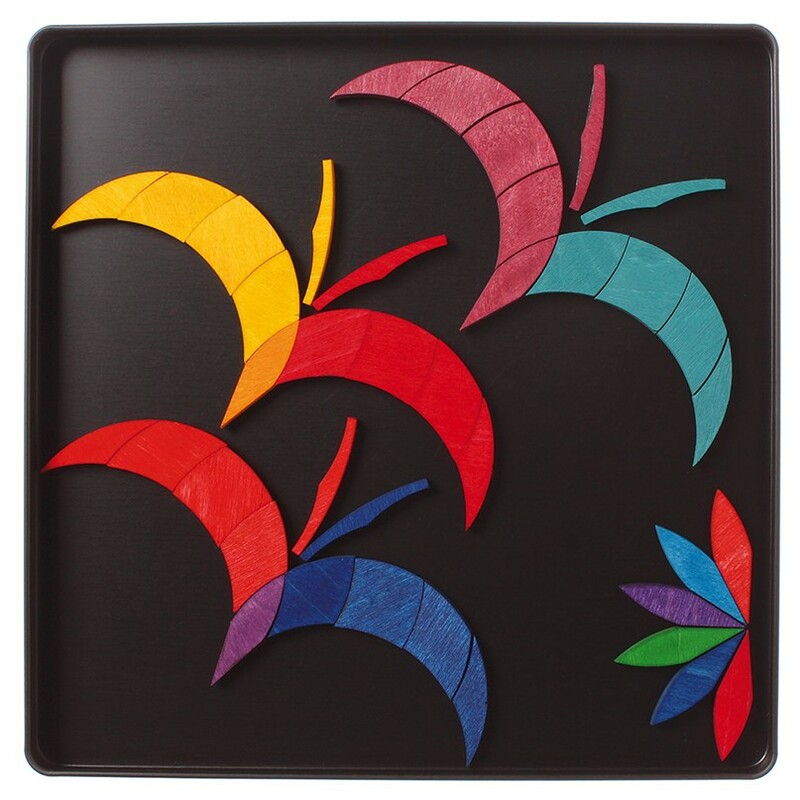 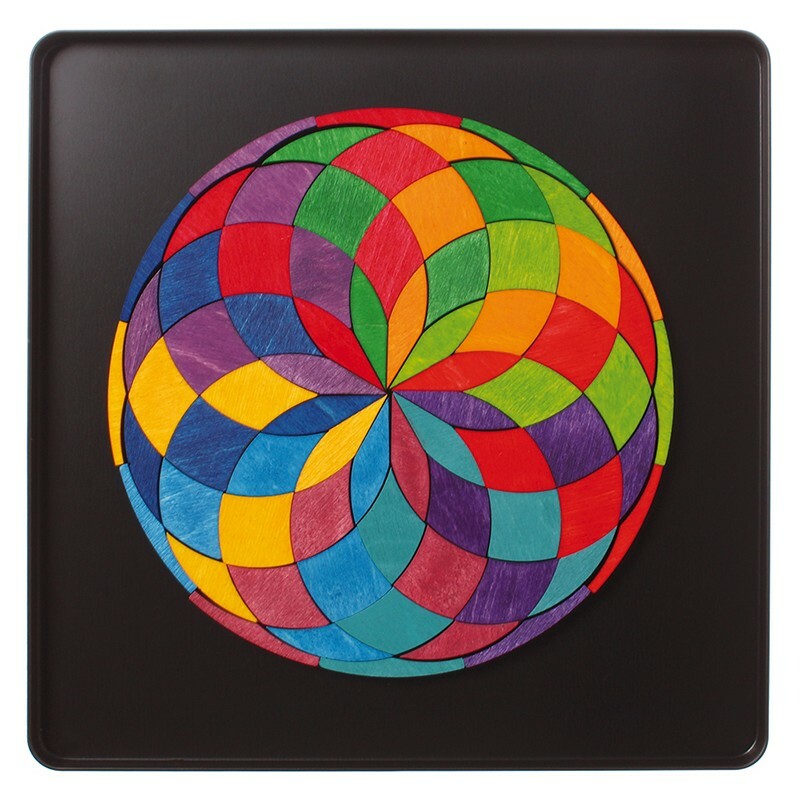 Create beautiful pictures using this incredible set of magnetic blocks. 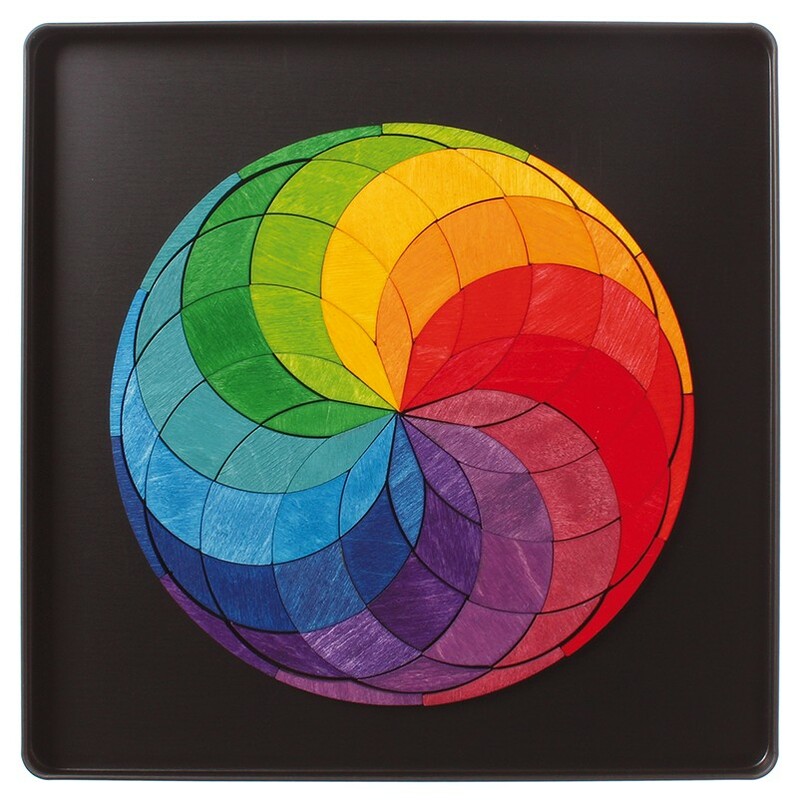 It comes assembled in a gorgeous rainbow kaleidoscope, but the pieces can be moved around to create amazing images of your child's choosing. 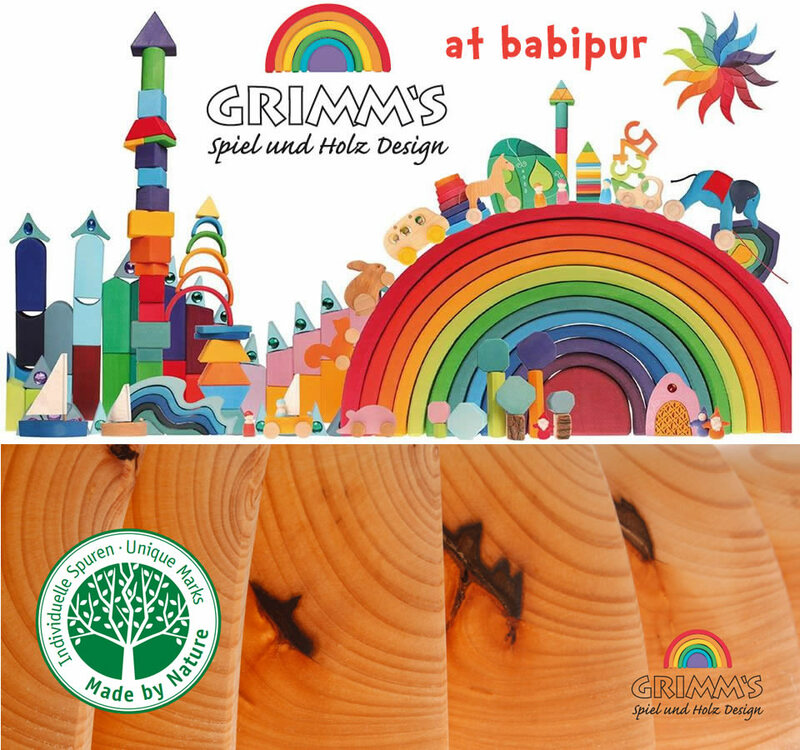 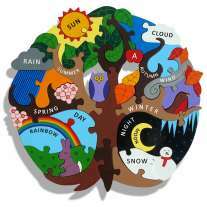 Animals, birds, landscapes, patterns and people - what will your child create today? 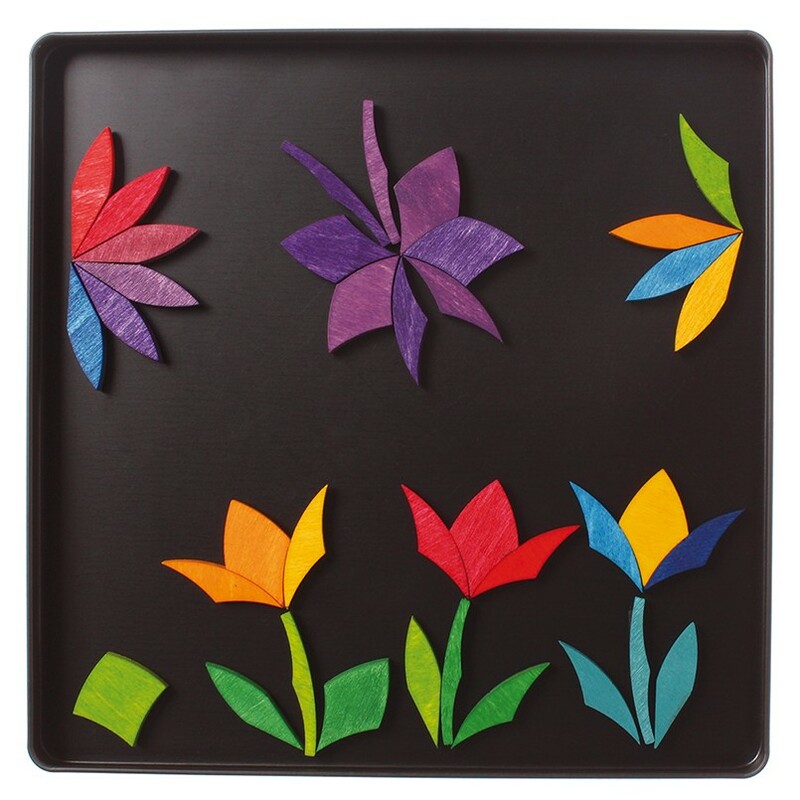 Even mum and dad will love to get creative with this magnetic set. 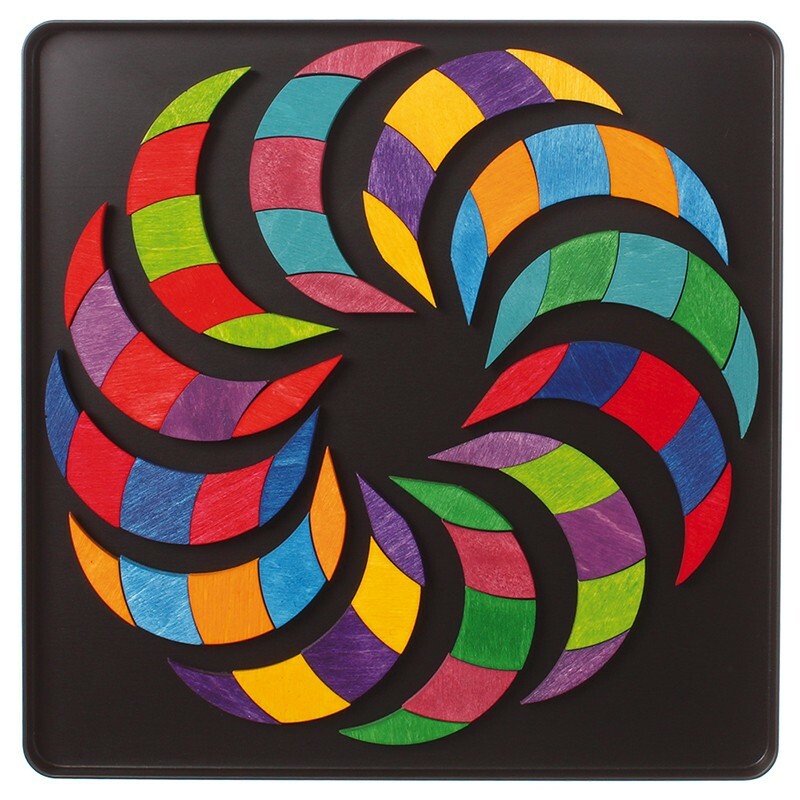 This 72-piece set comes in a metal box The pieces are made from birch and poplar plywood and have been treated with non-toxic water based color stain which allows the grain of the wood to shine through. 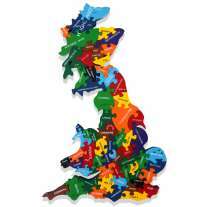 The puzzle measures 16cm across and is suitable from age 3.